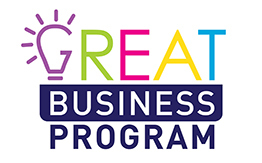 2019 Great Business Program - Council is calling all local businesses to sign up for a unique business development program providing help and resources, plus a chance to be awarded a share of $20,000 in grants and prizes. Australia Day Award Winners - Seventeen residents from Dubbo and Wellington were recognised for their contribution to their community at the Australia Day events on Saturday January 26. Beat The Heat - A statewide heat wave has been declared across NSW. Check out some of the services Council provide for you to cool off and beat the heat. Delroy Park Improvements - Council, with the help of Family and Community Services NSW, will be improving the amenities at Delroy Park in West Dubbo in the coming weeks. Check out what we have planned. Free Water Available for Eligible Rural Customers - A reminder that eligible drought-affected rural residents across the region can still apply for access to water from standpipes. Major Works - Council currently has over $50 million in capital works and major projects underway across the Dubbo LGA. Take a look at these projects and browse for up to date information. My Community Project - Have you got a great idea to improve your local community? If so, then Dubbo Regional Council is accepting applications to sponsor your idea under the NSW Government’s My Community Project 2019. Save Water - Dubbo Regional Council is a proud supporter of Smart Water Advice. Find out more about how you can conserve water for your business, home, garden, pool and more. Seniors Week Wellington - Check out what events Dubbo Regional Council has planned for Seniors Week in Wellington from Monday February 18. The Royal Visit - Thank You - Council wishes to thank the community and everyone involved in making the Royal Visit such an historic event for the Dubbo Region. Recap the day that was. Wahroonga Park Playground Renewal Complete - The Wahroonga Park Playground renewal is now complete and open for the community to enjoy. Find out more about the key features of the new playground.